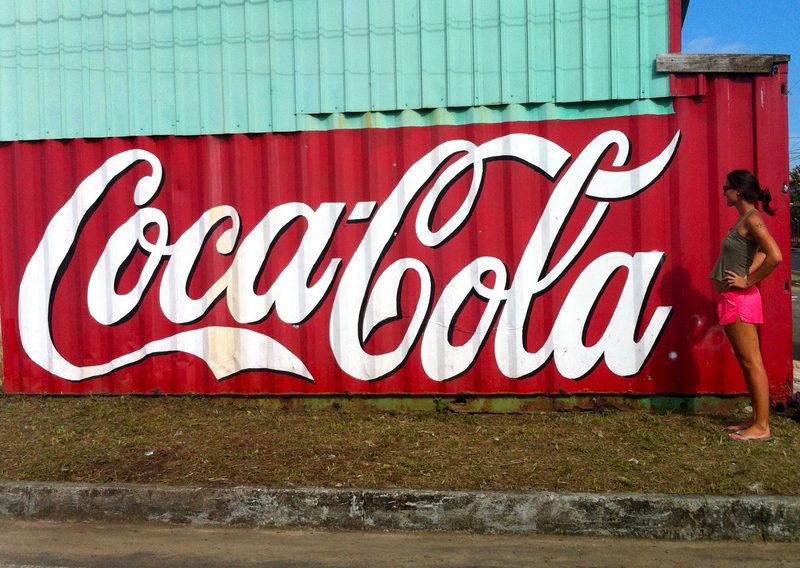 Coca Cola Sign in Bocas Del Toro, Panama Funny fact: when I was traveling in Central America I became addicted to Coca Cola ( the one in glass bottles). I had to limit my intake to one a day. Why travel? Why bother leaving your home, selling your car, leaving your friends, your favorite restaurants, your comfort zone? You will feel so liberated. Once you get rid of your belongings, you will truly be free. You will realize material things don’t matter in life. They don’t give you happiness. Rather, they weigh you down. You will meet incredible people on the road. Cool, enthusiastic, interesting, likeminded people. Perhaps you might even have a romance. When people travel they are much more willing to act spontaneously and live in the moment. They have nothing to lose. You will appreciate what you have in your life much more. Especially if you travel to less established countries. Please Don’t Go To Mapalo…Let It Always Stay The Same.